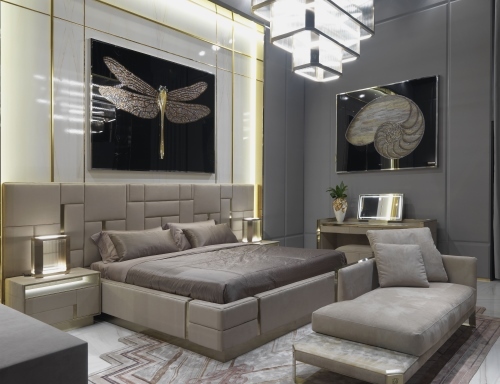 Check out some of the latest grand and gorgeous beds that will add dollops of style to your homes. This sleek bed is from Essentia Environments. It features an upholstered headboard and base, and is covered in leather. The metal elements are in burnished brass and nickeled iron, which give it a unique modern design. Look it up at E-40, South City I, Gurgaon. Looking for a dream bed for your little princess? 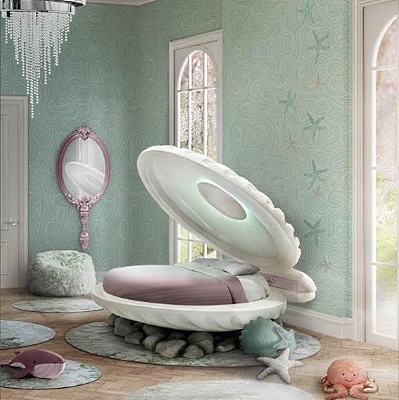 Circu offers the Little Mermaid Bed, which looks as if it’s straight out of a fairy tale book! Your little pearl will sleep ensconced in a shell-styled bed made from fibre glass. It even has some mood lighting thrown in to really set the mood for some under-water world fun! Visit circu.net to order this bed. 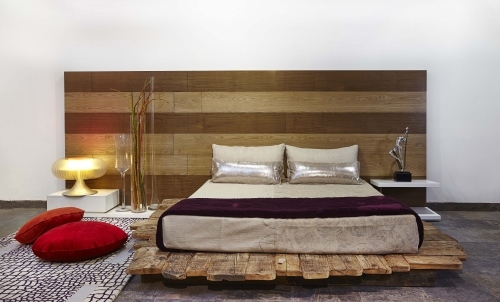 This artistic bed in reclaimed wood is from I’m Centre for Applied Arts by Poonam Kalra. This low bed is inspired by traditional Japanese beds. A visual treat, it’s bound to be loved by the artistic folks and nature lovers. It is available at their store in Lajpat Nagar-II, New Delhi. Alsorg offers luxury bespoke furniture that is made in India from American walnut wood and solid wood. This two poster bed is also made in solid wood. It features suede upholstery and the look is complemented beautifully with lacquered matt finish side tables with handless detailing. Buy this bed from their store at MGF Mega City Mall, M.G. Road, Gurgaon. 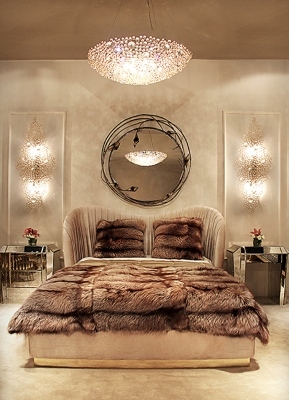 Tagged Decor, Homes, LifeSpice, Luxurious lifestyles, The Pad. Bookmark the permalink.